In recognition of the “Females in ICT International Day,” the American University in Kosovo – Training and Development Institute and its partners, including IPKO Foundation, hosted a conference yesterday. Being the first conference of its kind in Kosovo, the Girls in ICT Conference brought together individuals from the ICT sector, who have the ability and credibility to inspire girls and young women into changing the social paradigm of the ICT profession by emphasizing the fact the ICT has no gender. During the conference, the speakers tried to empower girls and young women to consider careers in the growing field of Information and Communications Technology (ICT) by sharing their personal stories. They emphasized that the old fashioned stereotypes that females are never good as males in the field of technology should be abolished by moving forward. In collaboration with EYE – Encouraging Young Entrepreneurs and Empower Private Sector Kosovo, A.U.K. TDI is implementing the Female in IT (FIT) project that complies to the inherent goal of the conference and the global initiative of raising the awareness, as well as empowering and encouraging females to consider studying and developing a career in the ICT sector. This is being done by offering training and certification for 70 young females in three profiles: Desktop Support Technician, System and Networks Administrator, and Software and Application Developer. IPKO Foundation is proud to be a part of a great partnership with A.U.K. 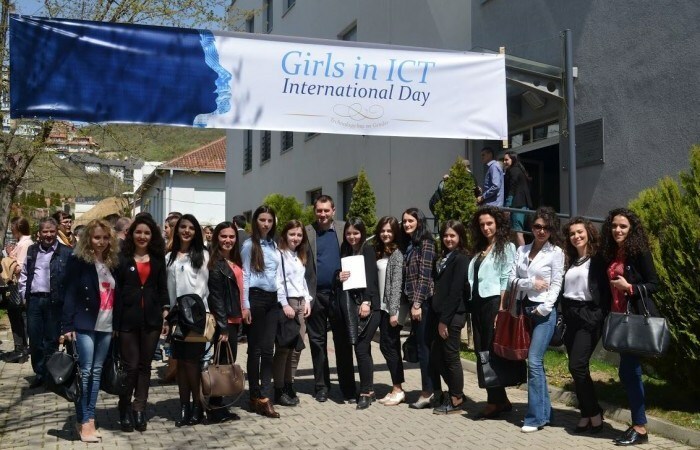 TDI, EYE, USAID, and Swiss Cooperation to mark the “Females in ICT International Day” in Kosovo, by supporting a conference dedicated to this cause. You can read more about the conference by clicking here, as well as the FIT project here.